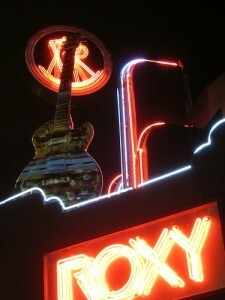 The Sunset Strip is pretty much already known as Rocknrollville. It’s infamous for hosting the rise and fall of many great musical careers, not to mention the debauchery. Oh the debauchery. However, with the Strip’s reboot and gentrification…it’s come back, if you will, the entire scene has come alive again. Why not name it Guitar Town? 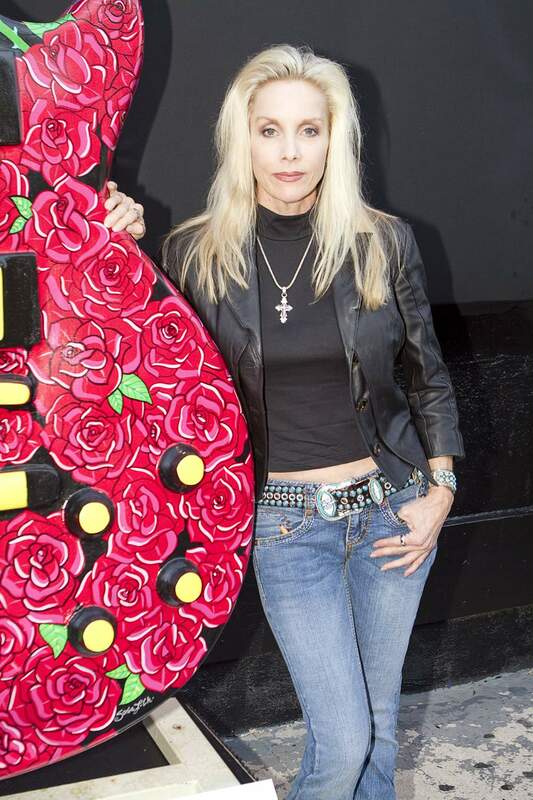 In conjunction with Nic Adler’s whirlwind social media campaign and the Sunset Strip Music Festival 2010, Gibson has commissioned a pubic art project that features 26 ten-foot tall fiberglass Gibson Les Paul model guitar sculptures created by local and nationally acclaimed visual artists. Each piece celebrates a musician, personality, or influential moment unique to The Sunset Strip’s history. Among the pieces are guitars celebrating 2010 Sunset Strip Music Festival Honoree Slash, The Doors, Mötley Crüe and Sunset Strip nightclub founders Lou Adler, Mario Maglieri and Elmer Valentine (The Roxy Theatre, Whisky A Go-Go and Rainbow Bar & Grill). The Gala opening last night included a ribbon cutting ceremony at the Comedy Store and classic car convoy up to The Roxy and The Rainbow where guests like Cherie Currie of the Runaways, Brian Wilson of the Beach Boys, Strip mayor Rodney Bingenheimer, and Strip Kingpin Lou Adler gathered to rock out at the Rainbow and celebrate a little Sunset strip history. 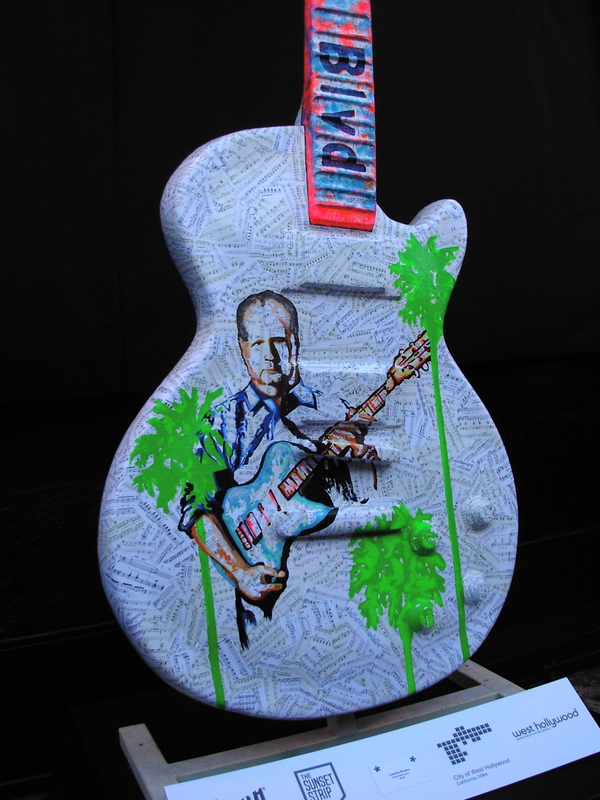 Gibson Guitar Town on The Sunset Strip will be on display for the next six months, after which they will then be sold at a Gala Auction with all proceeds benefitting nonprofit organizations and charities.